DELIVERED: Celebrating Warehouse to Wheels this week – our new scheme supporting people in warehouse work into higher-paid jobs as HGV drivers delivered by Mantra Learning Limited. 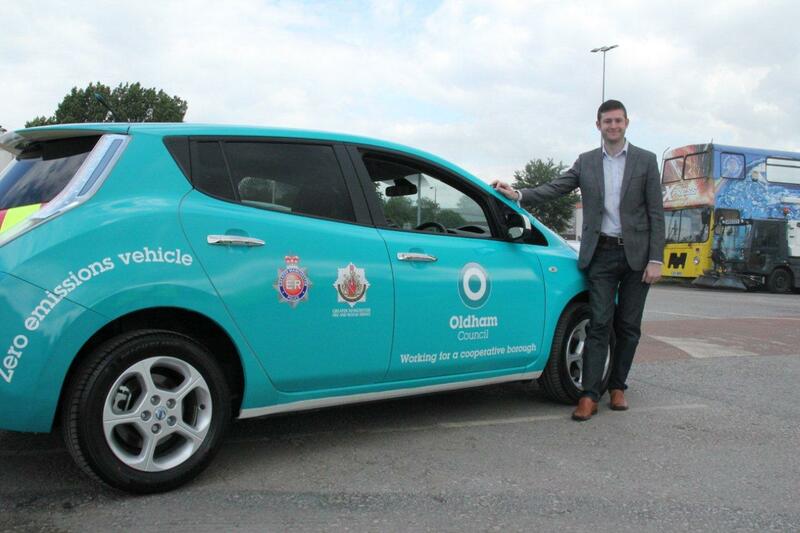 OUR PASSION for Oldham and drive to improve the town has been a feature of the majority of my blogs. I make no apologies for that because I think it’s important that we’re all focused on the job in hand. Last year we launched 30 pledges for a fairer Oldham in a two-year manifesto. Once the election was over with, the votes counted and the battered black ballot boxes all stacked up, we went straight on to delivering those promises. The pledges we set out weren’t just about being re-elected. There are plenty of politicians who believe getting elected is an end in itself, but I am clear that this simply gives you the means to start improving your town. A vision and ideas are meaningless, however, if you haven’t got a plan for delivering it, so I should start by offering my thanks to staff at Oldham Council and our partners. Together we’ve brought together our shared ambition in the Oldham Plan and it’s meant that, even in very difficult financial times, we have made serious progress. Very little, of course, could also be achieved without the support of YOU, the people of the borough: many of whom have agreed that simply managing our town’s decline isn’t the future we want for the next generation. We’ve demanded better and I hope the following review gives confidence to all that, even when times feel hopeless, we can find hope. Even when we are scared of believing for fear of being let down, we can find the strength to believe. And even when there is so much to distract us we find the wisdom to keep focused on the job in hand. And signed contracts to bring M&S and other national retailers to Oldham – with more to come. And we’ve invested in redeveloping Royton Town Centre with the announcement of a new supermarket which will compliment work to Royton Town Hall and the precinct. Are on target to deliver our Youth Guarantee for every school leaver by Autumn 2015, which means every young person will have an offer of further education, apprenticeships, a job or support to set up their own business. And are on course to introduce the Oldham Scholarship to help young people go to University. And we’re on track to introduce a Green Dividend to fund new allotments and tree planting projects to communities who work together to create a better Oldham. And we’re rewarding high quality care homes and tackle poor performing care homes. To say so much progress has been made amidst cuts of more than £141 million in the past five years – and your Council Tax has been frozen for the second year running – is nothing short of remarkable. This will be my last blog before the election period officially begins and council publicity is restricted. 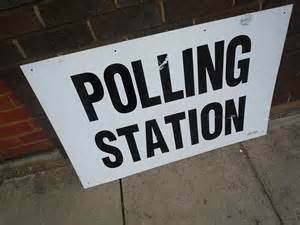 And as we approach the elections on May 7 candidates will no doubt soon be actively seeking your vote. I won’t use this blog to ask you to vote for any particular political party, but I would like to ask that you do please use your vote, because it does matter. When any candidates come knocking at your door, my simple advice would be to ask them what they will do to make Oldham a better place. Regardless of party affiliation, I think we all want a council chamber that is firmly focussed on delivering a better borough. REGENERATION: The investment, benefits and impact of five major regeneration projects planned for Oldham Town Centre. I WANT to use my penultimate blog before the local elections to talk about one of my driving passions – rebuilding Oldham.The new edition of Borough Life is dropping onto your doormats this week and inside you’ll find a double-page spread which looks at the changing face of Oldham. This shows a mixture of just some of the various housing, schools, retail, business and transport regeneration projects which have either been completed or are well underway across the borough – and there simply wasn’t enough space to provide the full list. As a public body we have a responsibility to justify all of our spending and be open and transparent about it. It is clear that some schemes have really caught the imagination and attention of residents and I’m pleased that, like me, many can see just how important these will be to changing the fortunes and perceptions of our town. Work is now well underway on several major projects like the cinema and restaurants at the Old Town Hall and the new Oldham Leisure Centre, and – from those days of early artists’ impressions – things are beginning to feel very real. Whether you agree with that sentiment or not, you must at least admit that I am consistent in arguing that our borough deserves better than to be simply ‘managing decline’ – a route which too many would accept as the next chapter in our future. I believe Oldham deserves better than to watch the threads of its rich cultural and economic heritage unravelling before our eyes. It deserves better than seeing once-great buildings falling into disrepair and the loss of things that not only once made us great but are also key to our confidence as a place. I simply don’t accept that has to be our future at all. I believe things can and will be better. BUT that will only happen with a combination of investment, a great deal of concerted effort and an acceptance that if Oldham wants to change for the best then we must collectively take responsibility for it. We have an opportunity to work to transform Oldham together and leave a legacy of optimism and positive growth for generations to come. The Old Town Hall is a prime example. In recent decades this building had gone from being a symbol of civic prosperity and pride to one of decline. Well, we could have simply demolished it, but I don’t have the stomach for that, and I don’t think residents do either. We could have opted to ‘do nothing’ and let the building continue to rot, but you might be surprised to learn that costs serious money. Whilst the building stands idle Oldham Council is footing a hefty bill: maintenance, empty building costs and other associated payments would mean a 25-year cost to the public purse of just over £16m. I’m not sure the public would consider that money well spent. I certainly don’t and, let’s be clear, there are absolutely no economic or social benefits to be had from this option. If anything, this plan would be in negative equity on both counts. The third option was to be ambitious and use this historic venue as the foundation stone to rebuild Oldham. With this project we’re now addressing our lack of a cinema and establishing one in a unique setting that will put it in a different class from characterless out-of-town retail sites. Not only can that give Oldham a fantastic new entertainment facility in its own right, but it will also help to redefine the future of our town centre. The total cost of this option is £36.7m, with £26.3m coming directly from Council resources. So the actual cost difference between ‘doing nothing’ or placing this iconic civic emblem at the heart of our new vision for Oldham town centre comes to just over £10m. Does this represent good value for money? Well, in working this out it’s important to also look at the economic and social impacts the project will have on the town. 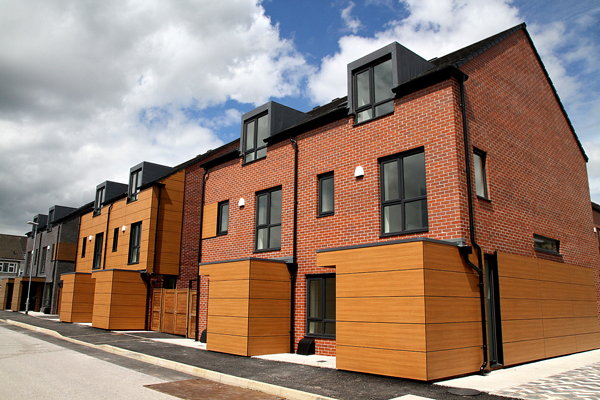 Firstly, this scheme has already seen the creation of jobs, work experience opportunities and apprenticeships by the developers, Morgan Sindall. It is estimated that the Old Town Hall will generate 74 full time and 159 part time jobs within the development and elsewhere in the town centre. It’s also estimated that it will generate a boost of £5.5 million per year to Oldham’s economy which, over 10 years, equates to in excess of £55 million of additional economic activity. Secondly, the Old Town Hall will attract new investors. The clear message we’re sending out through investment in regeneration on this scale is that Oldham means business and is ambitious for its future. The announcement – at long last – that Marks & Spencer is finally coming to town is surely proof that confidence breeds confidence. In addition, further investments like £1.4m into improvements for small businesses in Oldham’s Independent Quarter – plus Shaw and Lees District Centres and the A62 Failsworth corridor – ensure that existing businesses are also benefitting from our regeneration. Finally, the development will give a significant boost to the number of visitors into our town centre: which will also increase the amount of money spent in our local economy. It’s estimated that the cinema alone could attract approximately 214,000 visits every year and (based on evidence from the Northwest Day Visitor Survey) this could generate £2.4 million of expenditure elsewhere within Oldham town centre. Over 10 years that means in excess of £24 million of additional economic activity created. With that kind of return on your investment then, the real question is not ‘Why are you doing this?’ – it’s actually, ‘Why wouldn’t you?’. If you haven’t yet received your latest Borough Life and want to find out more about regeneration schemes and the economic benefits, you can download it from the Oldham Council website by clicking here. MILESTONE: I was delighted to announced tthis week that get Oldham Working has already created 2,169 jobs, apprenticeships and trainee opportunities. Finally, I must end this week with a nod to the fantastic success of the Get Oldham Working campaign. Regeneration isn’t just about bricks and mortar or landmark buildings, it’s also about people, skills, support and prospects. This campaign, working alongside a range of partners across all sectors, has already now smashed its ambitious target to create 2,015 employment opportunities by the end of 2015. It has seen the provision of 2,169 jobs, apprenticeship and trainee opportunities to local people since its launch in May, 2013, which breaks down into the creation of 1,184 jobs, 342 apprenticeships and 643 trainee and work experience opportunities. And the work will continue. We are all committed to continuing this partnership – and with an increased focus on creating more jobs. 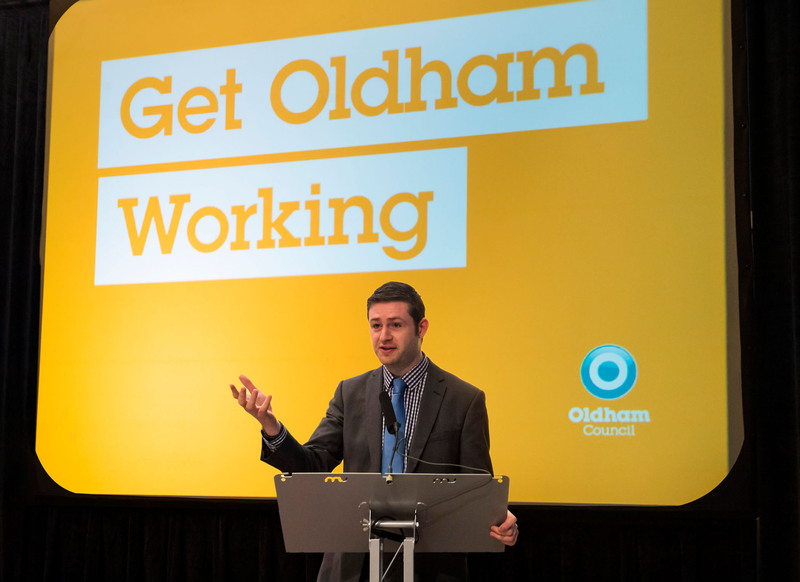 The Get Oldham Working campaign shows that by working co-operatively together we can make a real difference to reduce unemployment and support new business ventures. A NATIONAL week of action will be taking place focussing on Child Sexual Exploitation (CSE) from March 16 onwards. So I felt it would be timely to revisit this issue following the blog I wrote last September just as the high-profile failings in Rotherham had begun to make headlines. Calling something a ‘week of action’ is helpful to raise awareness but, of course, there is constant action on this issue. In my previous CSE blog I tried to show how seriously we take the sexual exploitation of children here; how we learn lessons when things don’t work as they should (here or elsewhere); and that we have the right policies, procedures and culture in place to ensure victims are supported and not allowed to fall through the net. I wanted people to know what we’re doing to ensure checks and balances are in place and that we’re actually undertaking and supporting a whole range of activity that tries to prevent people becoming victims, and also puts victims first. I also gave context to what is an extremely complex issue and considered some of the cultural issues that have been allowed to develop within many varying communities and social groups. I’m referring here to toxic cultures that can build within communities and institutions over time and influence how often those involved or connected act when people’s behaviours cause concern. To this day there are still historical cases of sexual abuse emerging which were either brushed under the carpet at the time or simply not taken seriously because of the people involved. In Oldham it’s my view that all our ward members, regardless of political views, are united in their resolve to safeguard the most vulnerable and give their full commitment to ensuring children and young people are protected from abuse of any kind. This means being firm in standing up and being counted – and tackling some very complex and emotionally disturbing issues. But we also shouldn’t be naïve. While there are many political parties and activists who subscribe to fairness, some certainly do not. Because this particular form and pattern of abuse was reported to have been carried out by predominately Asian males against mainly white girls there are some who try and tar a whole race or religion, using this as a hook to hang their hate on. That’s no more balanced than all white men being campaigned against because of the actions of others sharing the same skin colour, religion or faith. It’s a nonsense. Abusers are abusers and they exist in every community and social group. The week of action starting next Monday will see the start of publicity about the larger and stronger team dedicated to dealing with CSE in our borough. The ‘Phoenix Oldham’ team will now officially take over what ‘Operation Messenger’ began – and with additional investment from both the council and the police we’ve significantly increased the capacity and strengthened what we do. From April 1, there’ll now be two senior social workers and one additional Family Support Worker in the team working with children and young people at both an early preventative stage, and with those subject to a CSE protection plan. These young people are more likely to move quickly up and down the continuum of CSE risk so having additional staff providing support to a key social worker will further ensure that no child slips through the net. Child protection and CSE briefings are also taking place at the end of March to explain these issues to our staff who are out and about in the community. Not only will this further raise their awareness it will also give clear messages about how and when to report their concerns. Our staff, the majority of whom live in our borough, should be our eyes and ears in helping to eradicate CSE from communities. Our team will also be carrying out extra patrols and enforcement across the borough, plus raising awareness of CSE via posters and promotional material for the CSE reporting website “It’s not Okay” – including supporting the police with a market stall in the town centre. In addition to that we’ll working with taxi firms to offer training and advice on keeping children and young people safe. Social workers from Phoenix Oldham will also be linking into Oldham’s schools offering advice on CSE and young people who are missing education as schools continue to be a focus for our prevention work. I’d also like to highlight our prevention work with GW theatre which has been delivered via the play “Somebody’s sister, somebody’s daughter”. I mentioned this in my previous blog, but what you may not be aware of is that the play was actually first developed here in Oldham in partnership with GW theatre. Councils across the country have since commissioned performances and I’m proud we’ve played a leading role in bringing this important prevention tool to national audiences. Across the UK, around 70 young people have so far made disclosures after seeing the play and, building on that success, we’re now working with GW theatre again (alongside five other local authorities) to develop an age appropriate prevention tool for 10-12 year olds. Last year the play visited every secondary school and college in our borough and was seen by around 3,500 young people – mainly in year 10. We’re working with schools to roll it out again this year and aiming for a further 4,000 pupils to see it before the end of summer term. Two community performances are also planned for June, so please get along to one if you can because eradicating the exploitation of children in the borough is, ultimately, everyone’s responsibility. Please remember that if we ever stop being open about these difficult issues we run the risk of failing to tackling it and that means – worst of all – we let down those who need us to speak up most: the victims. Last week saw a major step forward in the push for decisions to be made locally. At the start of the week the news broke that plans to devolve decisions over healthcare in the region were imminent. And then on Friday came the ground-breaking announcement of plans to bring together health and social care budgets worth £6 billion. This puts local people firmly in control of future health and care services that suit the region. I am clear decisions made about services which effect people should be made by, or as close to that community as possible, and have democratic accountability. We must now use the next 12 months during the ‘transitional stage’ to involve local people, health professionals and ALL councillors in the changes that will follow. In many respects the changes all get obsessed about (governance) but most people don’t give much attention to them, they just want it to work. When they need social care or health treatment they rightly expect the system to work. But there are too many stories of people falling through the gaps between services, departments and the complex number of organisations. Any sense that the NHS is ‘one’ today is very far from reality. It’s complicated and while in some cases that might be for good reason, for the public they just want a system that puts them first. We all have our own ambitions for this and together with my own desire to see services formed around people, not institutions. I also want to see an equal relationship between the government, the public, NHS staff and other public services. Success for me would be to see the hardworking employees who provide in home care for mainly older people treated with the same respect as those caring in hospitals. Decent wages and terms and conditions will mean they can be held by members of the public in the same respect and admiration as NHS staff (quite rightly) have earned. The deal sees NHS England, 12 NHS Clinical Commissioning Groups, 15 NHS providers and the 10 local authorities, including Oldham, agreeing a framework for health and social care – with plans for joint decision-making on integrated care to support physical, mental and social wellbeing. This is an early step on the road for the devolution of decisions and budgets to regional level and it is welcome. By devolving power away from the distant Whitehall civil servants to locally accountable councillors and health and social care professionals we believe we can create a better and more efficient way to deliver services that are arranged around people, not institutional silos. Health and Social Care has some of our best and highly-regarded frontline workers and they, like us, recognise there are gaps in the current system which can only be resolved through true integration. We need to balance this opportunity though. It is all too easy to get carried away into building more layers of bureaucracy and slowing down a system that is already under pressure to the point of breaking. It is also vital that we don’t rush into expensive reorganisations and restructures – that would be a big mistake. We need to go into this with our eyes and ears open. We need to listen to the public and ensure that their needs and voices are part of the ongoing discussions. We also need to keep our eyes open as leaders and make sure we have the full picture so we can make vital decisions on a crucial part of people’s care – now and in the future. There is a lot to be said for ‘better together’ and here in Greater Manchester we can be proud of what we have achieved by working together. 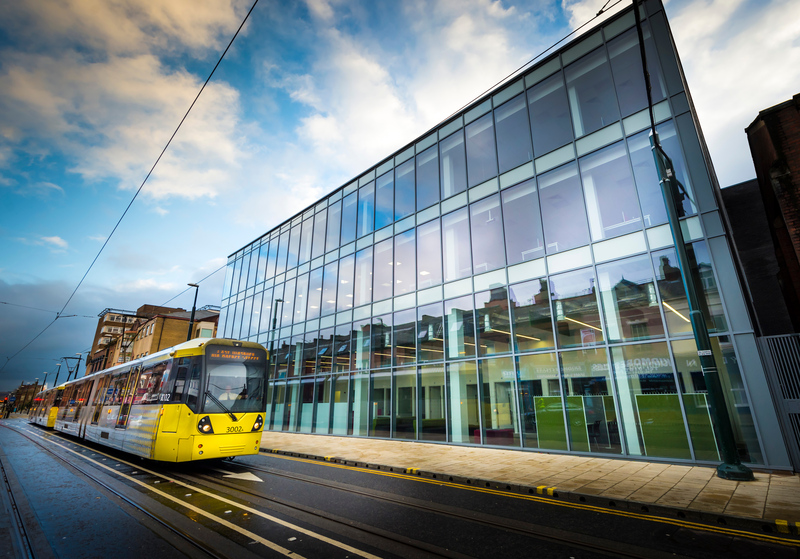 We have one of the best tram systems in Europe and many leading institutions such as the BBC and the Imperial War Museum have chosen to locate here. We must be clear, however, about the major challenges still facing us. As a conurbation our local economy under-performs compared to similar areas in the rest of Europe. We actually receive more from central government than we currently raise in taxes and too many of those who could contribute to our success choose to make their futures elsewhere. The ongoing discussion about an elected mayor and devolution for Greater Manchester needs to be firmly focused on addressing these key concerns – and how we can help create prosperity locally. The Combined Authority working in real partnership will have a budget of billions of pounds. It cannot be a talking shop and it has to be clearly very accountable to the public. The real opportunity is that locally we can begin to exert more control over the billions spent in Greater Manchester by unaccountable national quangos and ensure that our housing and employment programmes can meet real local needs. The public aren’t calling for more politicians – there’s no public appetite for that – and it’s absolutely right that we’re incorporating the existing Police and Crime Commissioner role, saving money and avoiding duplication. With a £50 billion economy and a population of 2.7 million, Greater Manchester has led the national debate on political devolution from Westminster. There was a tipping point on the devolution debate. A point where the assumption was in favour of devolution over Whitehall control was accepted as the norm. I believe with this announcement we’ve seen the tipping out. And if the assumption is devolution we now need to look at other areas where Whitehall has failed to reform services. I’ll put a marker down for the Department for Work and Pensions right now. Our task now is to take the people with us and create a city region leadership that can contribute to our economic success and a brighter future for all our residents.